This week's Top Ten Tuesday topic from The Broke and the Bookish is 10 Things that Will Instantly Make Me NOT Want to Read a Book. This was a little harder than last week's list of things that will make me WANT to read a book. I think I could have come up with a top 20 without trouble for that one! I will say that for almost all of these there is an exception - a book I read usually because a blogger friend made it sound to good to pass up and more often than not I end up loving it. But without that these are some things that will make me put the book back on the shelf without putting it on my TBR. 1. 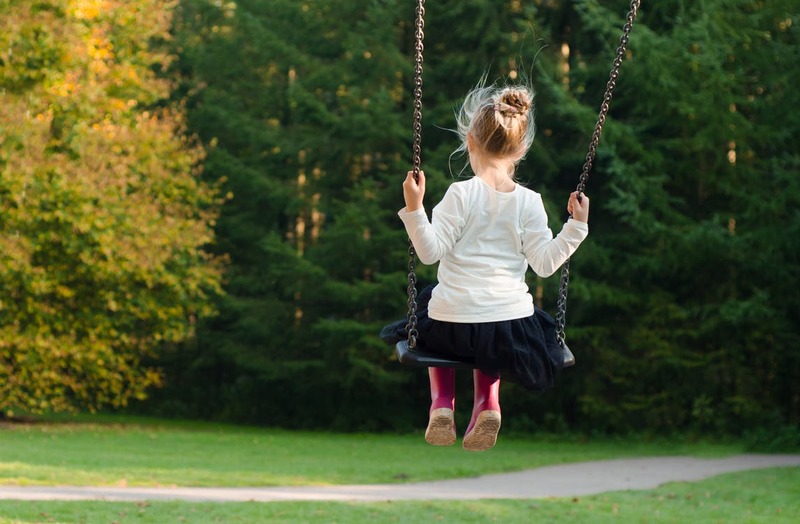 Death of a Child - Especially if the story is told from the parents' or child's POV. I just can't handle it. I can deal with a death way in the past but if it's present day I'm out. 2. Controversial topics - There are 2 reasons I avoid this. The first is that I tend to be an escapist reader and we're bombarded with current events and issues enough in the real world that I don't enjoy that in my fiction. The second reason is that so often with an author is writing about a controversial topic they are frequently pushing their take on the issue. Even when I agree with the author's POV I dislike that feeling of a pushed agenda. 3. 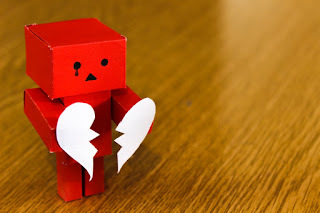 Cheating - I can handle a cheating spouse or significant other in a thriller but if I'm supposed to like or root for a character in a fiction, romance, or lighter mystery I just can't. 4. Angst - I'm not a huge fan of unnecessary drama so when there's 3 misunderstandings and tremendous amounts of sobbing in the blurb I tend to think the book isn't for me. 5. Multi-book love triangles - I'm not a big fan of love triangles at the best of times - I typically end up feeling bad for the one not chosen unless the one not chosen is awful and then I have to wonder what the person was thinking in the first place. I can tolerate it in one book but when a major love triangle has drug on and on with no signs of ending that can be enough to make me stop reading the series. 6. Books with animals if the animals are at risk in any way - If there's a dog in a romance I'm pretty good but the second the main character gets a pet in a thriller I'm on edge. I've had to flip to the end of more than a few books to make sure that the dog or cat was still there before I could relax enough to read the actual story. 7. Dystopian - This is probably the one where there have been the most exceptions. I've read a number of Dystopian type books that I ended up really enjoying but unless it's heavily recommended I tend to steer clear. 8. The characters are in high school - I didn't particularly enjoy high school or being that age and I'm not really drawn to most YA novels quite possibly for that reason. I can handle some quests or teenagers saving the world but other than that I haven't had much luck. 9. It's by an author who has burned me a few too many times in the past - There are a few popular authors who I've read a few books from and have finally decided their books just don't work for me. Either the end feels emotionally manipulative, the characters don't click with me, or something about their writing style just is hard to get into but I've finally decided it's time to avoid them. What things make you want to avoid a book? Oh man love triangles over multiple books is super annoying!! It is like how long can you stretch it out??? Animals at risk is not something I enjoy in a book at all. Great list! I don't do deaths of childen either, and controversial topics- maybe but not usually. And totally agree about multi- book love triangles! Excessive angst is also not my thing usually. Oh my gosh, we have so many in common! Heck no on the death of a child. NO! And cheating, if I'm reading a romance. And I just can't get into the whole dystopian thing. I just can't. And absolutely no pets in danger, ever! Hello! 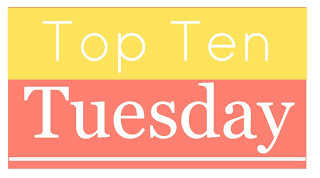 I didn't do a Top Ten Tuesday, but off course I'll quickly pop in to see what you did. I can't disagree with anything on your list. Except number 1. I don't know, I can deal with the death of a child. Or wait. Maybe after recent circumstances I can't. Haven't read any lately. Oh my word - point 6 is the WORST!!!!!!!! I don't read a lot of animal books, mainly because so many of them are sad. But The Art of Racing in the Rain is one of my top 10 favorite book of all time. Even though I've cried the whole book. But if an animal gets hurt or killed in a thriller, I can just die. Like John Wick!!!!! I almost had a heart attack. Never finished watching the movie. Just sat and sobbed next to my husband while clutching my two labradors. Point 9 I am terrible with.... If by any chance I don't like the first book by an author, I won't read any more books by said author. No matter what anybody says. On the other hand, if I loved an author's book I will most probably keep reading. Even if I don't like it. Just for the sake of maybe. Great list and I love your pics!! Great list, Katherine! I agree with several of these--and especially with your caveat that there have been exceptions. That holds true for me too. Cheating made my list too. I also included animals on my list--particularly animal cruelty and death. I almost included child death on my list, but didn't. I'm not sure why. I also don't like it when children are tortured. Thanks for sharing, Katherine! Ditto to many of those, I have found I can't stand books that are all dialogue or conversely have little or no dialogue (fiction). Multi-book love triangles just confuse me. I get that a lot of people enjoy weighing in and joining Team A or Team B but that's not for me either. What a great topic! You came up with a great list and a few would be on mine too. Great list. I don't particularly like dead children but I will take it if well written. Love that we have some of the same things on our list. Kids and Animals always a NO NO for me. Dystopian I actually like but I have been hit or miss with it lately. I actually love catastrophe books and dystopian novels. I don't know why since they're usually depressing. Something about them appeals to me. I'm with you on #4. No melodrama, please! I'd definitely agree with you on most of these. I have read several dystopian books I really enjoyed but, like you, they have to come highly recommended by people I know aren't already rabid dystopian fans. I develop anxiety if I find out there's a pet involved because I'm so afraid it won't make it to the end. Even the blurb will make me cry if it mentions the animal hurt in any way. Cheating is a HUGE no go for me. I hate when it's a surprise, too. Meh on agendas. Yes, that has actually made me quit a couple authors I was so annoyed with them doing that. As a sub-set of #1, parents killed in front of their children. I once picked up a mystery labeled as 'cozy' where that happened (violently!). I quickly dropped that book. I have love triangles that never end. I think that is really what ruined Stephanie Plum for me. Pick one already! Great list! That's a big no to love triangle, Especically over multiple books, yuck. And I can't stand cheating on books either! Great list Katherine - I agree with a lot of these! I didn't participate this week. Oh, time. I agree with all the things on your list today. I'm not sure what you scope you meant by controversial topics, but I have read three books that immediately come to mind that I think most people would say fall into this category because two dealt with suicide (and one had another element that is a spoiler), and the third was an intense read on a manipulative, controlling relationship (meant to help teach the signs, as the author's sister was such a victim.) I really dislike angst and cheating. Ah I love a dystopia!! I hate any book where a child is abducted, murdered, as a mum I just can't bring myself to read them. If I know an animal gets hurt during the course of a novel, I will avoid the novel. I was completely blindsided a few years ago when I read Ten Things We Did (and Probably Shouldn’t Have) by Sarah Mlynowski. I wasn't a fan of the story to begin with, but once I read the scene where the main character learns her cat was hit by a car, I wanted to chuck the novel out the nearest window. The cat survived, thank goodness, but what was even the point? !